Light Strip Kit come with 3M self-adhesive backing & Mounting Bracket Fixing Clip for easy and safe application, can be stick to anywhere you want. 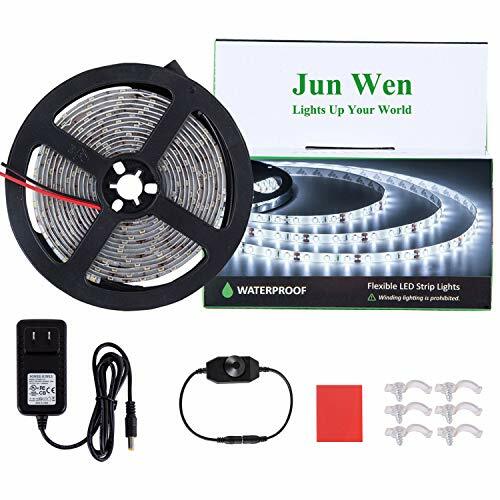 Such as kitchen, under cabinet, bedroom, patio, TV Backlighting, automobile, mirror, balcony, party, wedding, Christmas decoration, etc. hotels, clubs, shopping mall, events, parties, show exhibitions, architectural decorative, emergency and security lighting, advertisement sign. If you have any questions about this product by JUNWEN, contact us by completing and submitting the form below. If you are looking for a specif part number, please include it with your message.